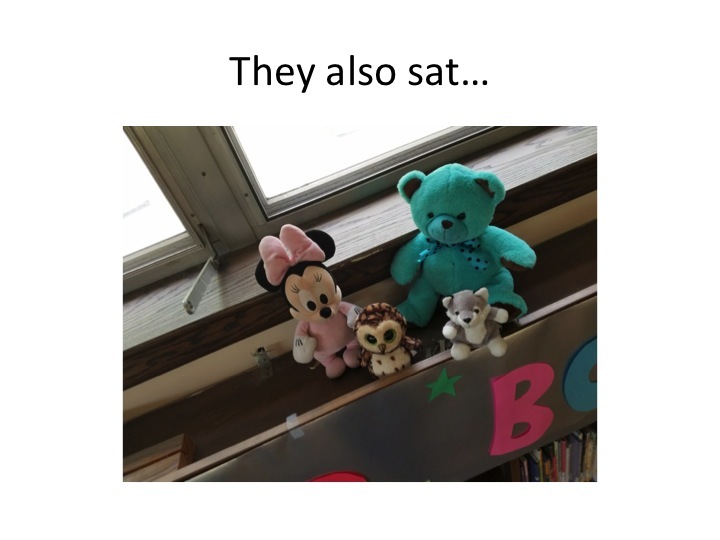 Garfield Library - Stuffed Animal Sleepover! I recently had the pleasure of visiting the Garfield Public Library in Garfield, NJ. 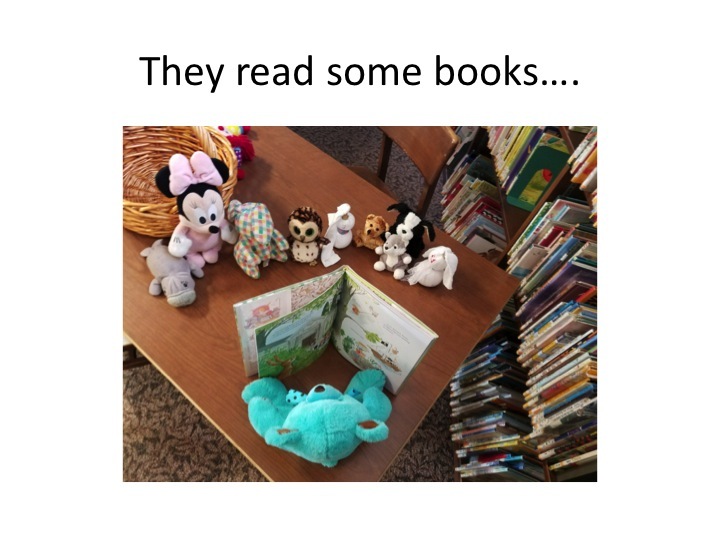 There, the fabulous librarian, Lauren Magielnicki, had the children bring their stuffed animals to our BUNNY'S BOOK CLUB story time and leave them overnight so they could explore the library. 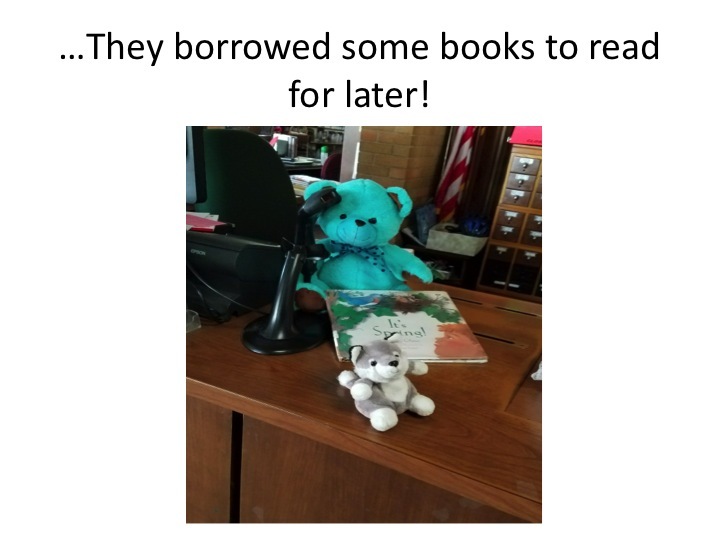 Lauren was kind enough to share photographs of what the stuffies were up to during their night in the library. 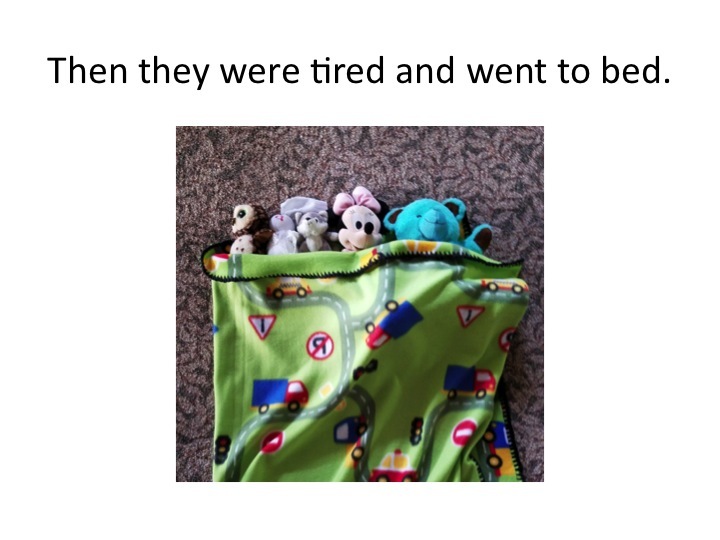 Please enjoy her slideshow below! 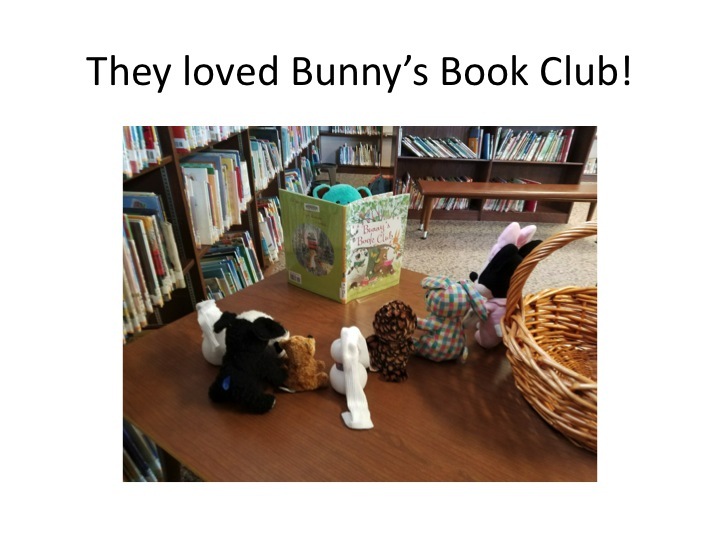 Thank you to Lauren and to all the children and their friends who joined this very special meeting of Bunny's Book Club!